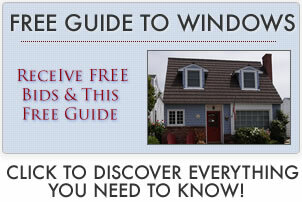 Reading Crystal windows reviews can help you to decide if they are a good option for your home. I have these in my new house and I’ve been really happy with them. I went with the energy efficient windows, and also got the lifetime warranty. I will qualify for a tax credit and have lower energy bills than in my older, much smaller house. Overall I think I got a really good deal and I’m happy with them. I’ve used a lot of these windows, in new houses and as replacements also. I personally have never had a problem with them. They are not the sturdiest window but they are fine for most homes. I don’t think I’d use them in a hurricane zone or some other unusual situation though. I’ve had to do some work on leaky ones, but it’s usually a problem with the replacement installation. If it isn’t seated just right then cold air and even rain can get in. There are better windows out there, but Crystal makes a decent product for the price. Crystal windows are on the lower end of the vinyl frame market. Most homeowners can expect to pay between $250 and $450 for a single or double hung window – this includes the cost of installation. Amsco, Harvey and Vinylmax offers similarly priced and quality products. When one of my rental units had a small fire I needed an affordable option really fast. The fire department had broken them and ended up causing more damage than the fire! The company worked with my insurance company quickly so that we could get the unit back to a livable condition. The windows work fine and I’ve never had a problem, but the best part is the service. It’s easy to talk to a real person and they definitely went way out of the way to help me out. The replacements I got were the basic ones. I didn’t get the energy efficient package or anything special. I do like the feature that limits how far you can open the windows. It’s really great, especially for the kids’ rooms upstairs. I did feel like the distributor was scamming me. I thought I was buying one model of window, and the ones that were delivered and installed were something different. It did take over a week, but I was able to get someone at the compant to look into it. They said that the windows I had were the ones that I ordered but they did take $2,000 off of my order. That made me happier but I won’t go through that salesman again.